There were some unearthly events happening around Belfast on Tuesday. 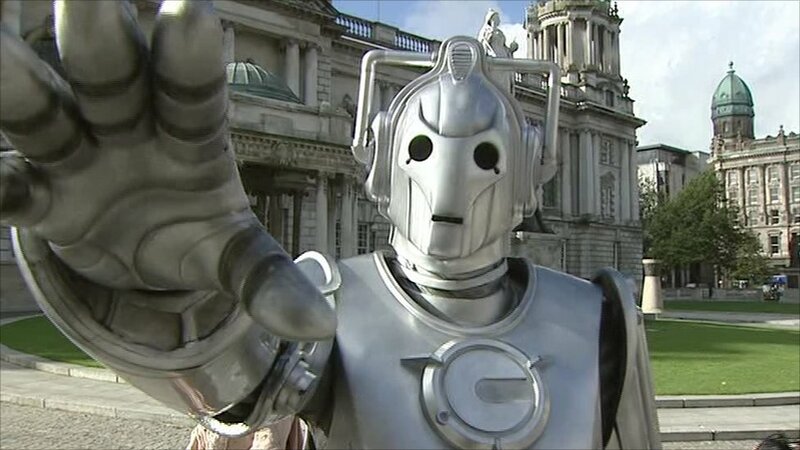 This cyberman outside Belfast City Hall tries to prevent word of the monster invasion getting out. 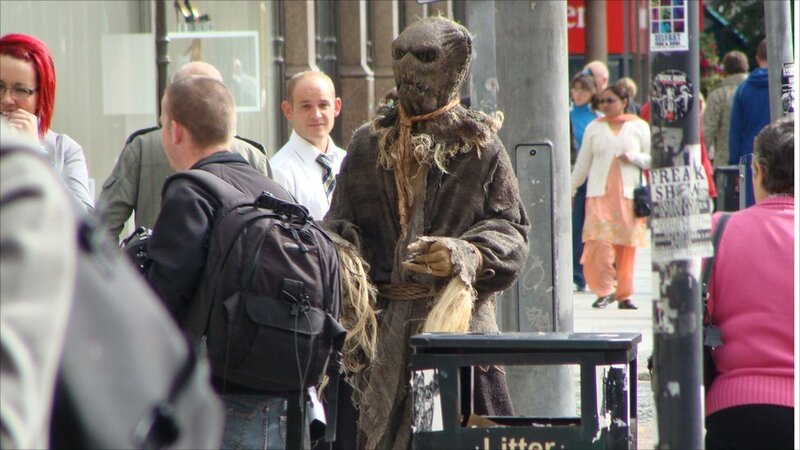 A scarecrow from the "Family of Blood" does some shopping in Donegall Square. This local couple are trying to explain to the Silurian that Belfast really doesn't have an underground. 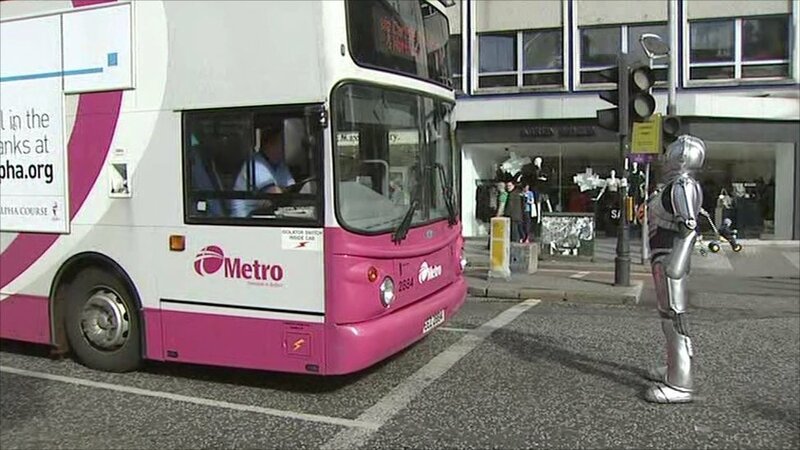 A cyberman ordered this Belfast Metro bus to surrender. The bus refused. A Clockwork Android out looking for spare parts. 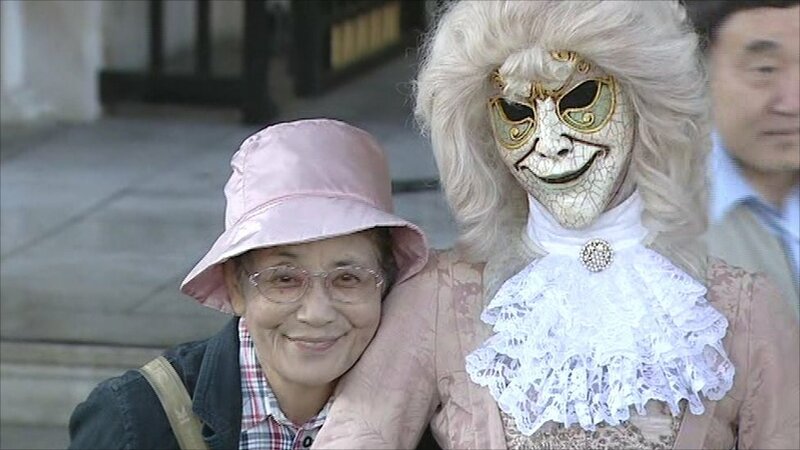 It seems to thinks this woman is "compatible". This boy has foolishly challenged a cyberman to a staring contest. The monsters were here to promote Doctor Who Live coming to Belfast's Odyssey Arena in November. The live show will feature special effects, aliens and cybermen battling daleks.